Visit our website - *** GoldenLakeCottages com *** - for more information. A very unique waterfront property offered for large groups, family reunions, and families with kids. Fully Renovated Year Round Executive Lakefront Home on Golden Lake with 3 Seasonal Rustic Log Cabins. Satellite TV + WIFI included. The water is pristine and offers gradual sandy bottom entry, perfect for swimming and excellent for kids! 150+ feet of private lakefront & directly next door to Golden Lake's only public beach. Property features a Beach Volleyball Court, Charcoal BBQ's, a Propane BBQ, Picnic Tables, Patio Chairs, a Large Firepit, a Pedal Boat, and a Private Dock! Nestled in the picturesque rolling hills of the Ottawa Valley, Golden Lake Cottages provide the ideal spot to relax and enjoy the Million Dollar view. Only a short drive to shopping, and walking distance to select restaurants. Our ideal location is just one minute from the T.O.P. Trails and adjacent to Golden Lakes ONLY Public Beach which boasts a large picnic area, several grills, and a large, well maintained sand beach. 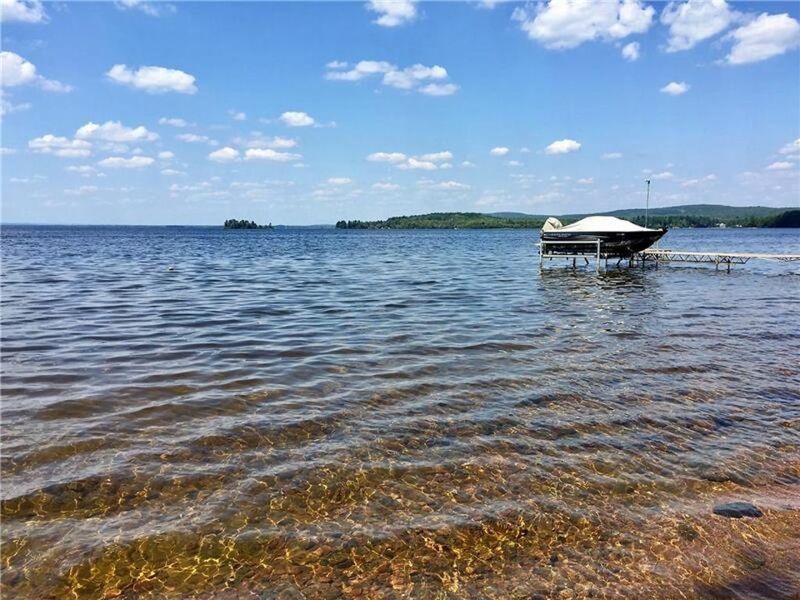 Great Swimming, Boating, Skidoo Trails, Ice Fishing and more, all right outside your door!